Ubiquiti Unifi NVR running on Ubuntu 16. I cannot seem to find how to configure email alerts? Can it now be done unless you have the physical NVR? The software which runs on the Physical NVR is the same as the software which can be installed on Linux or Windows. The SMTP settings if the NVR is connected to the Cloud uses the Ubquiti Cloud SMTP server to send alerts. 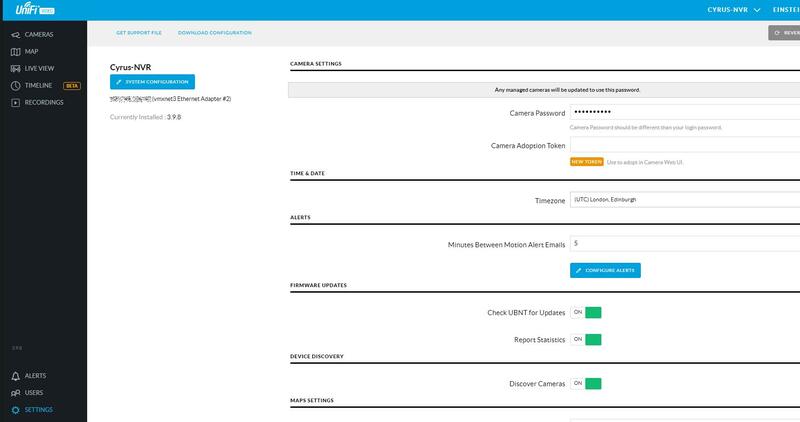 Settings > Alerts > Configure Alerts will allow you to configure the Alerts you require. Please find the below link to know how to setup email alerts in unifi . @Prabhin MP - This is UniFi Video, not UniFi Controller for networking! Andrew. Thanks for the response. no problems, how do you like Ubq. Video ?